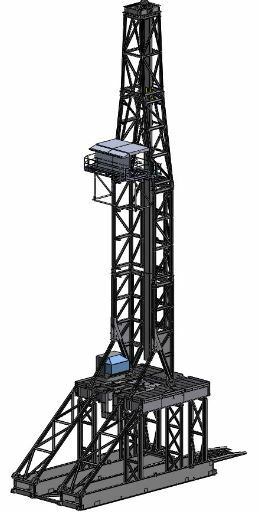 Design of a 200mT mast for the Arctic area in compliance with Russian GOST Standards. Due to railroad transport constraints, the packages were limited to 2,4m wide. This constraint leads to the wallet mast Innovative Concept.